“If you’re not prepared for that creative call, don’t take it.” Lisa Oropallo has been at Digitas for the last 18 years and was always an advocate for the best practices in the industry. 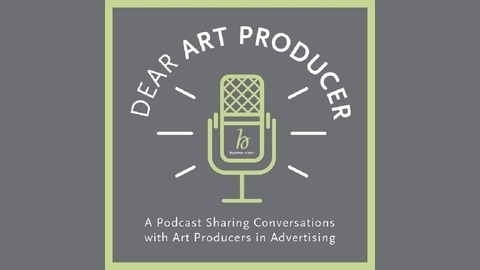 Tune in for an interesting episode that covers industry changes as well as some seriously practical tips on online presence and how to show up for creative calls. 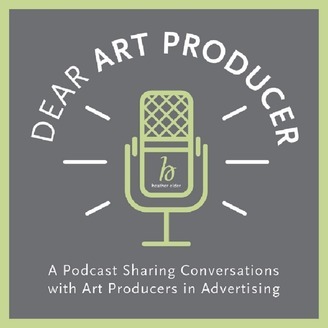 [:30] Heather introduces Lisa Oropallo and asks her guest to talk about who she is, where she is from and how she stumbled into art production. [3:26] Lisa talks about how technology advances have reshaped the way work is done in the industry and what impact it has had on the work. [6:56] Lisa turns the tables and asks Heather how a bid monopolizes a photographer’s time. [7:16] Heather and Lisa discuss the evolving role photographers are asked to play in the creative process and the time requirements that have not been increased to accommodate for this additional workload. [10:22] The creative call and the treatment make or break a bid. [12:06] With the fierce competition out there, what are some important things that will factor into the decision process and what does Lisa look for in a photographer. [15:31] Promos? Portfolio reviews? Meetings? How does one grab Lisa’s attention and she talks about what she thinks Instagram is for! [18:35] Long loading websites is a no-no but a build your own .pdf function is great! [20:43] Once the three bids are in, what is Lisa’s agency process? Heather and Lisa talk about how they prefer tackling budget issues and how cuts in one area can affect every aspect of a job. [26:22] Lisa remembers a time she asked a photographer to pick up a local crew to limit the budget, and how she came to regret this decision. [29:53] Heather asks what the process is for letting the losing bids know they weren’t picked, and how much information she will share in the context. Heather asks if it is at all an opportunity for constructive criticism. [34:44] When to disclose the budget, or a range or nothing at all, Lisa and Heather share their perspectives. [38:39] Does Lisa have advice for a person who would become an art producer: communication, getting more knowledgeable about today’s market, etc., most of it is really good for current art producers! [41:31] Aside from all of the previous advice — which is good for photographers as well — is there anything she would tell photographers: thinking out loud and looking prepared. [42:40] If you [the photographer] don’t have everything ready for the creative call, you shouldn’t take it now. [44:19] Heather thanks Lisa for coming onto the podcast and invites listeners to tune in for the next episode. In an industry where the rules are always changing, it’s helpful to hear from those on the front line. Heather Elder is the visionary behind NotesFromARep’sJournal.com; visit her website for industry updates, stunning photography and video, and the artists behind the work.